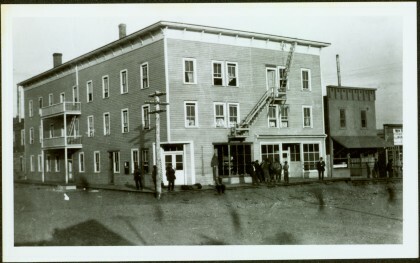 Photograph depicts street corner view of Hotel Fort George with people and utility pole in foreground. Handwritten annotation on verso “Hotel Fort George Central Fort George 1913". Handwritten annotation on verso of photograph: "212".